igoo were recently approached by Rebecca Ferguson to provide branding, signage and a website for her new beauty salon located in Childwall, Liverpool. 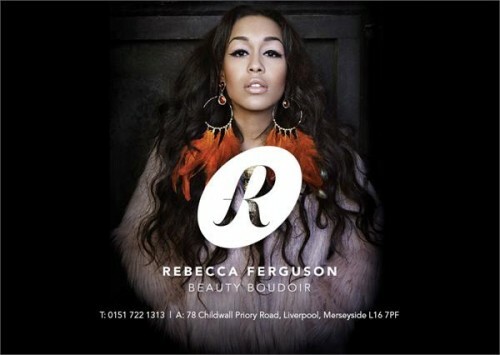 ‘Rebecca Ferguson Beauty Boudoir,’ is a new venture for the Liverpool songstress, intended to provide a space for girls to be girls and enjoy being pampered in a relaxing and stylish environment. The branding for Rebecca’s new venture was inspired by Hollywood glamour and red carpet beauty, with inspiration drawn from vintage fonts. Her new website is currently under development and will feature her full price list, details of treatments and contact details.